Every supplier has opinions of their customers and what seems to motivate them to buy. Success in meeting economic goals is always dependent on the accuracy of those views. Following is one view of what makes the product development engineer tick in 2006. Of course the first question is whether engineering or procurement is your real customer. Ultimately, it’s either one or the other, and much more often than not it’s the engineer. However, engineers often abdicate their decision out of apathy or fear, making it appear you’re stuck with a low-bid situation more often than is actually the case. If you’re not sure, just ask engineer. They’ll tell you. There are some good reasons why procurement doesn’t want to you to talk to their engineers without a chaperone. We’re usually not the best businesspeople. Of course make sure you know whether it’s the engineering manager or procurement that’s the barrier. If is the engineering manager, the observations that follow still apply. Like everyone else, workload is one of the engineer’s biggest complaints. Since in nearly all your interactions you will be saving your customer time or you will be asking your customer to invest time in you, constantly ask yourself which you are doing. For example, every supplier constantly complains they never get in on a program early enough. The most common reason for this is the supplier isn’t bringing enough benefit at that time for engineer to invest time in explaining their needs. Forwarding a drawing or parts list for quotation a few months later is much easier. Find the same component successfully fielded in the same application. Even if that application is your competitor’s product, this approach has more potential benefit than harm unless the competitor has clear differentiation or pricing advantage. The key is that the customer perceives it as the same application (thus mitigating their risk) as opposed to whether it is the same fastener. Take it upon yourself to test the application, preferably from an independent source. The customer will say it’s OK if you test it yourself. What they won’t tell you is that they will question the credibility of any positive result, largely negating the benefit of your investment. This is particularly true in industries where engineers are not familiar with joint testing. In any case, forward the test procedure to the decision-maker for an informal approval before you get started. =Forwarding it by e-mail requesting an OK in reply is a documented but non-threatening way to make it more difficult for the engineer to ignore or downplay the benefit of positive results. This is can be effective if make sure you are focusing on the potential customer’s concern; technical risk. Telling him that your competitor’s rep is dumb, never delivers, has a 37 handicap and cheats on his wife might be interesting (and might even be true), but it isn’t going to get you the sale. Neither is relating third party dissatisfaction. Getting existing test results, warranty or recall data, obtaining testimonials from experts such as an independent service organization or commissioning an independent competitive test will all help level the playing field. Forwarding feedback from industry technical forums is an effective means of making your point. Just make sure you run a search to be sure your product isn’t being harpooned in a thread somewhere else on the site. While these observations might provide food for thought on an individual organizational basis, they don’t address the fact that the biggest challenge to the industry comes from outside, not from fastener manufacturers overseas. 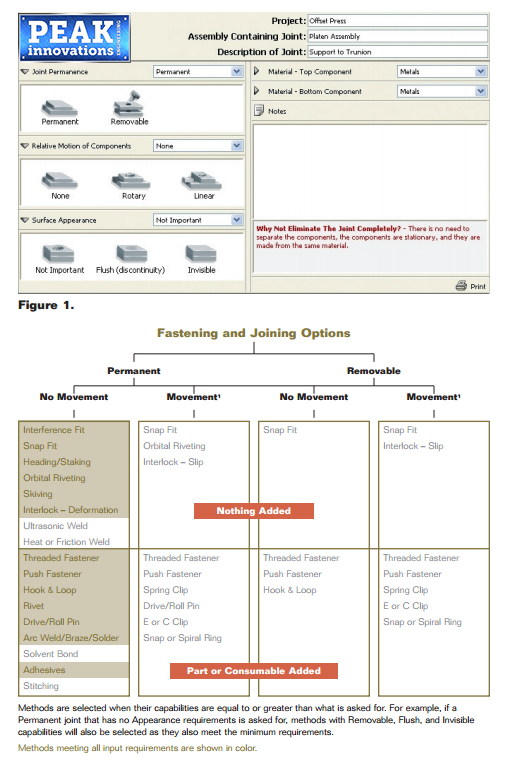 Figure 1 is a screen shot of a selection guide on our web site showing potential fastening and joining applications by joint requirement. One of the challenges of the fastener industry is that their products are used in applications were other options are a very viable alternatives. For example, many threaded fasteners are used in joints that are not intended to come apart. Why? Often it’s not because it’s the most cost-effective solution. It is because bolts are familiar, available and don’t require a lot of time or investment to implement. Many people don’t trust bonded joints because they had them fail in the past. Just like 30 years ago everyone had war stories about how the plastic parts in their car cracked and fell off. Do you want all that metal back in your car now? Adhesives, like thermoplastics, can be much more easily modified for specific applications than formed metal, and chemical companies certainly have the budget for customer education and testing. New adhesives that are more insensitive to surface conditions and others with innovative cure mechanisms are making significant inroads. Consider also that the utility of any attachment method is dependent on the materials and manufacturing process of the components it secures. As more low-density metals and composite are introduced new joint designs will be required because the material properties demand it. At that point it takes just as much effort to look at alternatives as it does to rethink how to make the existing fastener work. I think the solution is for this traditionally fragmented industry is to form coalitions that do more than develop standards. There are some compelling success stories of industry consortiums whose mandate is growing their market through innovation. One of the most impressive has parallels to the fastener industry. What is another product seen as decidedly low-tech, low growth, and so 20th century? How about steel? Yet the UltraLight Steel Auto Body (ULAB) project, funded by a consortium of 33 steel producers, demonstrated through a comprehensive combination of analysis, testing and prototyping that advanced high strength steels could compete quite well with aluminum, magnesium and composites.